Welcome to a new age of Makerbot. 5th Generation to be exact. 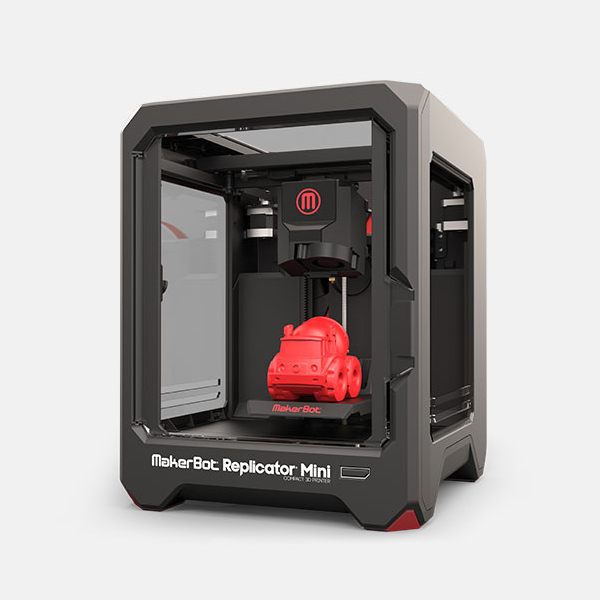 The Replicator Mini is a compact 3d printer, that combines the simplicity and quality synonymous with the Makerbot name, with an affordable price tag that's comparable with many entry level 3d printers. But don't let its size fool you. This stylish black box is capable of some very high quality prints and can be used with a huge variety of colors and filaments. It has a lightning fast processor and a user-friendly interface, which is great for beginners. The Makerbot Mini was named the CES 2014 Best in Show by numerous publications. 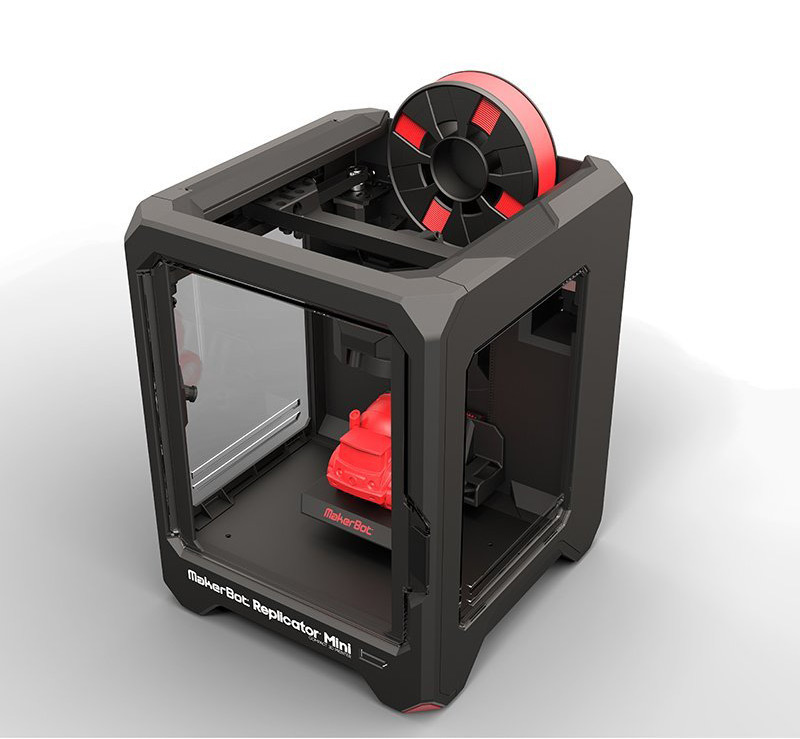 The Replicator Mini has some really cool features that we absolutely love! It comes standard with a Smart Extruder that knows when you've run out of filament and automatically pauses the job so you can refill. It can even send you notifications to your Makerbot mobile app. Effortless! Another neat feature is the onboard camera, which can take photos of your creations and send them to you via the cloud. The Mini boasts a 200 micron layer height, wifi and USB. 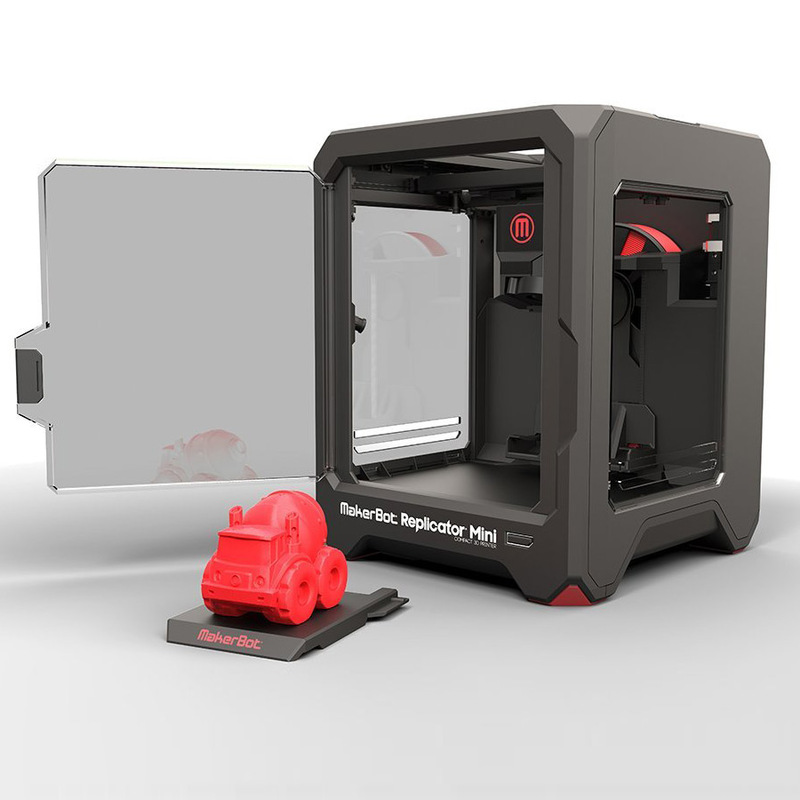 The 5th Generation Makerbot is a fabulous solution for any office, school or beginner.